We wouldn’t have jobs if it wasn’t for merchant credit card processing and online shopping and all things between. First the cons: Credit cards are nothing more than money a consumer doesn’t have; Credit card issuers and brands prey upon consumers and often keep consumers under water with high interest rates. And the pros: Credit card payments are safe and, if used responsibly, builds all-important consumer credit. In the current climate of e-commerce fraud and hackers running amok, consumers are protected. It’s safe to say both statements have merit. Last week we read that the UK government is considering banning the use of credit cards for gambling purposes, citing a detriment to gambling addicts as well as somewhat vague figures noting that as much as 20 percent of deposits to certain UK gambling merchants are successfully made with money consumers do not have. While the news is distressing for both online and brick-and-mortar gambling businesses, we’re not ceasing offering merchant credit card processing – far from it. We cannot imagine a credit card ban on gambling will happen anytime soon, even at all. Conversely, the very possibility of such a ban raises several issues and hints that changes could be forthcoming. The issue will be revisited in February with gambling merchants and several major banks. One of the loudest arguments against the proposed ban regards UK consumers having the freedom to spend on what they want and how they want, in a free market. Banning credit cards for gambling purposes is a contradiction of the way the free market operates today. Gambling enthusiasts that use credit cards will argue that a consumer losing money on a bet isn’t much different than a consumer buying a round of drinks at the pub. It is a fact that gambling is addictive. It can be argued that fueling a gambler’s addiction by furnishing them with a credit card – again, money s/he doesn’t have – is like pouring fuel on a fire. Choosing to gamble is a consumer’s right, but only if s/he has the means to do so. As a merchant credit card processing provider since 2001, we’ve seen governments and state authorities crack down on certain industries such as payday lending (remember Operation Choke Point? ), e-cigarettes and online tech support. However, we do not envision the credit card ban on gambling in the UK ever happening. Card brands and issuers with more influence: Credit card issuers are experts in noting the spending patterns of their consumers – especially in preventing cases of fraud in very early stages. We feel that there will come a period when issuers and card brands will take note of excessive credit card gambling and take action, such as blocking payments to gambling websites or physical casinos. Spending limits for gambling: Another possibility we envision is card issuers enforcing spending limits on certain business types, such as online or physical casinos, allowing only a certain figure to be spent in a certain time frame. Perhaps a more suitable deterrent for excessive gambling with a credit card is what several UK banks have done, Barclays, Santander and the Royal Bank of Scotland among them: Give consumers the option to set limits on or restrict spending in casinos, online and storefront. Result: Fewer chargebacks? Like several other industries, chargebacks are rife in the credit card gambling space. Gambling enthusiasts may lose big, may have spent more than they meant, and don’t want anyone (such as a spouse) to find such sums on a credit card or bank statement. Thus, with banks placing restrictions on credit card gambling and/or enabling the consumer to do so, the gambling industry will see fewer chargeback disputes. First-time cardholders need education: Although we offer merchant credit card processing solutions, we are also consumers. That said, we wholeheartedly believe that credit card issuers should be obligated to provide some form of education when consumers apply for a credit card for the first time, before they are approved: Perhaps a webinar detailing interested rates, how they increase and decrease; the penalties for missed payments; the importance of a consumer’s credit score and responsible use. We liken the proposed ban on credit card use for gambling to the slowly increasing number of U.S. states legalizing the use of cannabis. None of us want our children to become gambling or drug addicts. A consumer needs to know the facts behind what s/he is dealing with when choosing to place a bet or sit at a black jack table. Thus, education is definitely needed on both fronts. What are your thoughts on the UK government placing a ban on gambling with credit cards? Leave us a comment below. 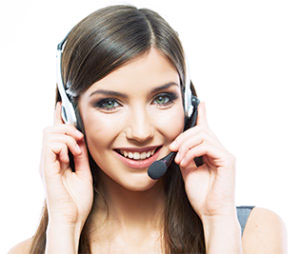 For the best merchant credit card processing solutions and live, one-on-one support, telephone us at 1-800-530-2444.